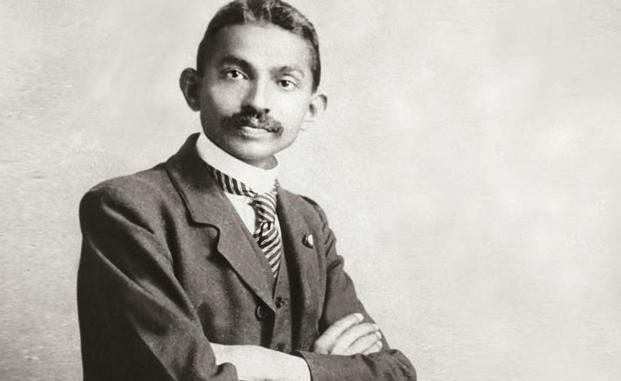 Born in India and educated in England, Gandhi traveled to South Africa in early 1893 to practice law under a one-year contract. Settling in Natal, he was subjected to racism and South African laws that restricted the rights of Indian laborers. Gandhi later recalled one such incident, in which he was removed from a first-class railway compartment and thrown off a train, as his moment of truth. From thereon, he decided to fight injustice and defend his rights as an Indian and a man. When his contract expired, he spontaneously decided to remain in South Africa and launch a campaign against legislation that would deprive Indians of the right to vote. He formed the Natal Indian Congress and drew international attention to the plight of Indians in South Africa. In 1906, the Transvaal government sought to further restrict the rights of Indians, and Gandhi organized his first campaign of satyagraha, or mass civil disobedience. After seven years of protest, he negotiated a compromise agreement with the South African government. In 1914, Gandhi returned to India and lived a life of abstinence and spirituality on the periphery of Indian politics. He supported Britain in the First World War but in 1919 launched a new satyagraha in protest of Britain’s mandatory military draft of Indians. Hundreds of thousands answered his call to protest, and by 1920 he was leader of the Indian movement for independence. Always nonviolent, he asserted the unity of all people under one God and preached Christian and Muslim ethics along with his Hindu teachings. The British authorities jailed him several times, but his following was so great that he was always released. After World War II, he was a leading figure in the negotiations that led to Indian independence in 1947. Although hailing the granting of Indian independence as the “noblest act of the British nation,” he was distressed by the religious partition of the former Mogul Empire into India and Pakistan. When violence broke out between Hindus and Muslims in India in 1947, he resorted to fasts and visits to the troubled areas in an effort to end India’s religious strife. On January 30, 1948, he was on one such prayer vigil in New Delhi when he was fatally shot by Nathuram Godse, a Hindu extremist who objected to Gandhi’s tolerance for the Muslims. Known as Mahatma, or “the great soul,” during his lifetime, Gandhi’s persuasive methods of civil disobedience influenced leaders of civil rights movements around the world, especially Martin Luther King, Jr., in the United States.